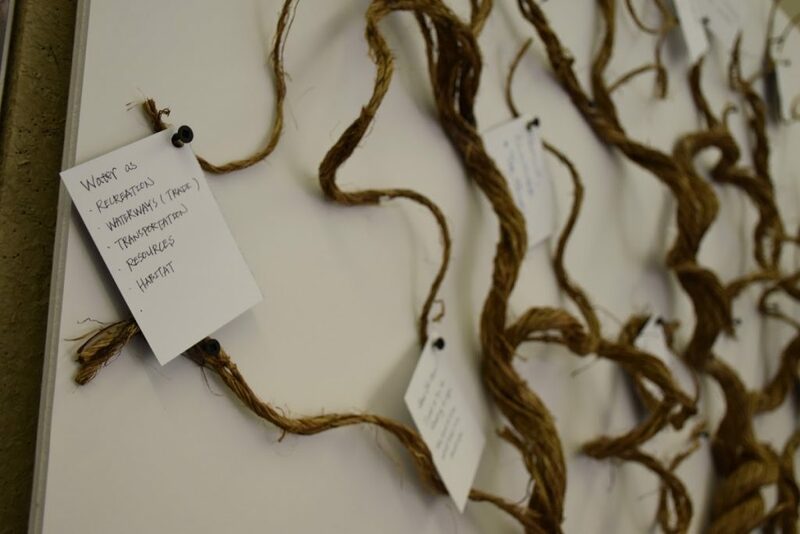 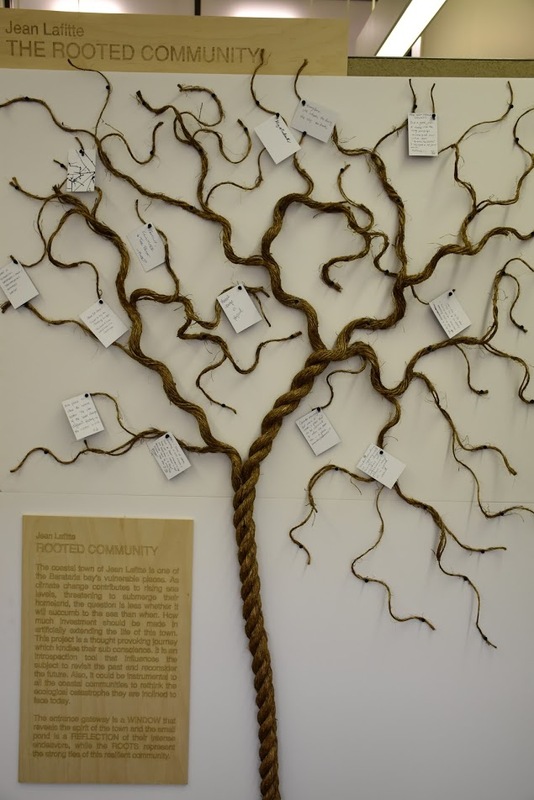 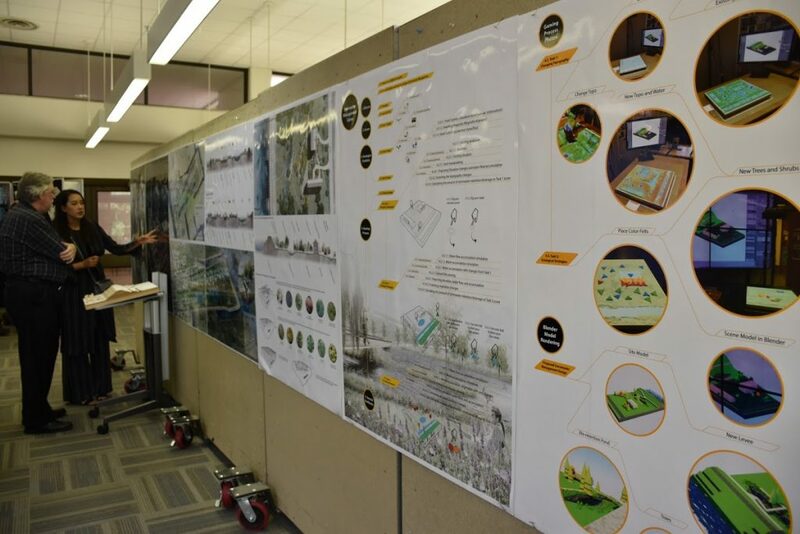 Landscape architecture students in assistant professor Brendan Harmon’s Advanced Topics Studio designed and developed serious games that explore the challenges of coastal change for the town of Jean Lafitte in Jefferson Parish, Louisiana. 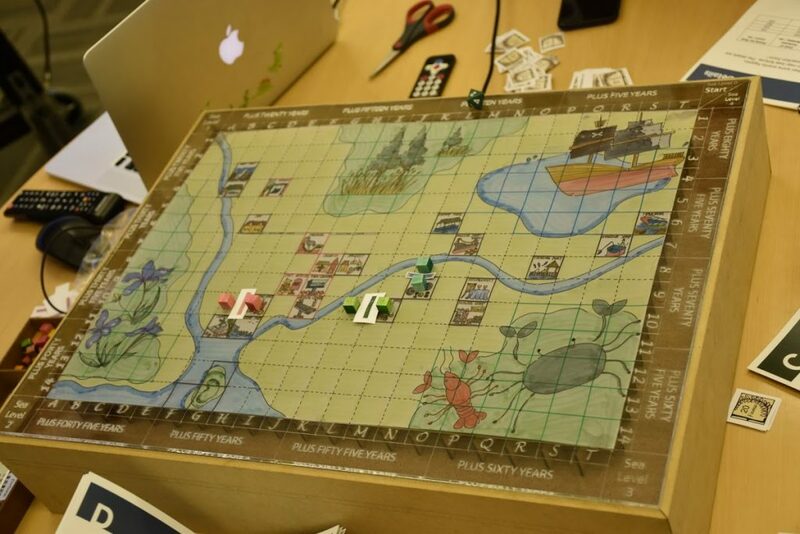 They presented them at a serious gaming workshop at the College of Art & Design on April 27. 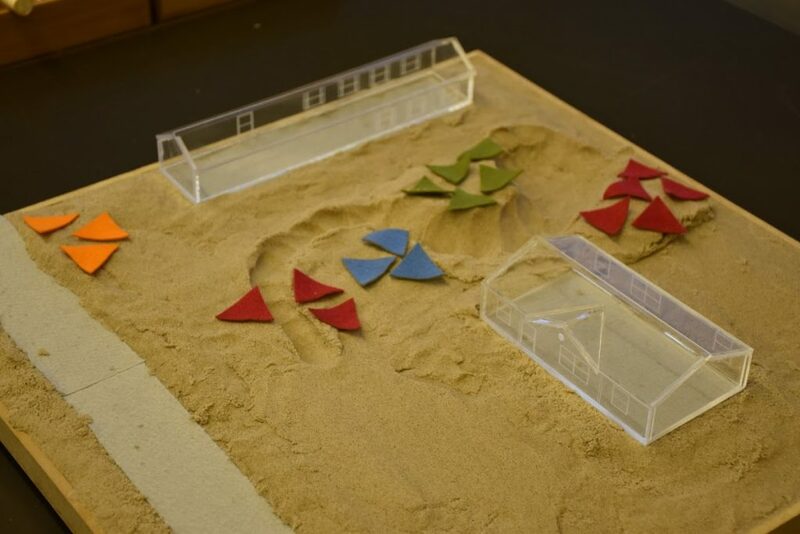 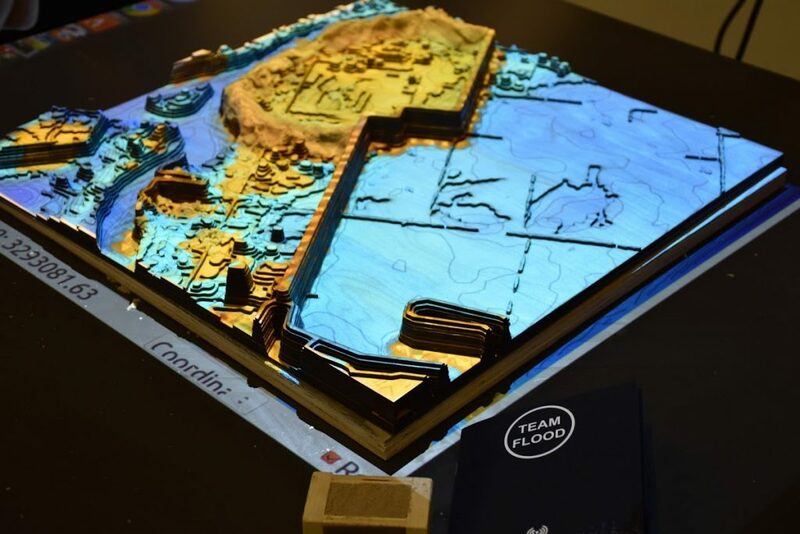 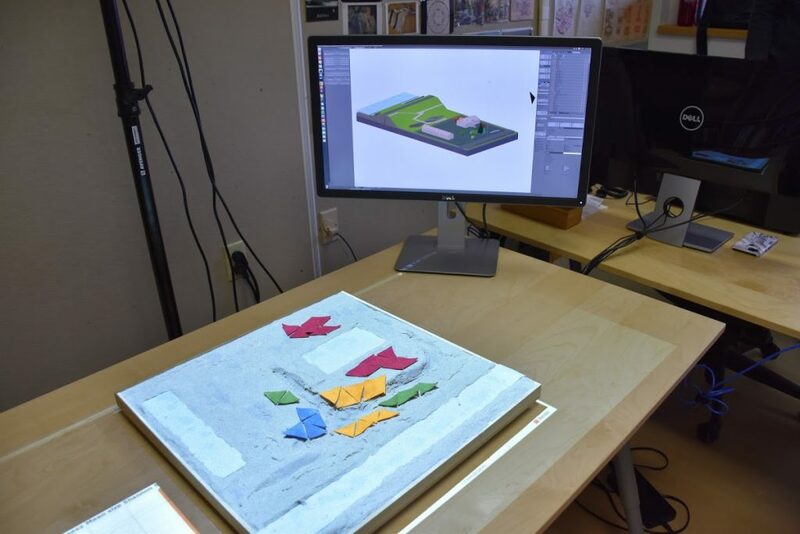 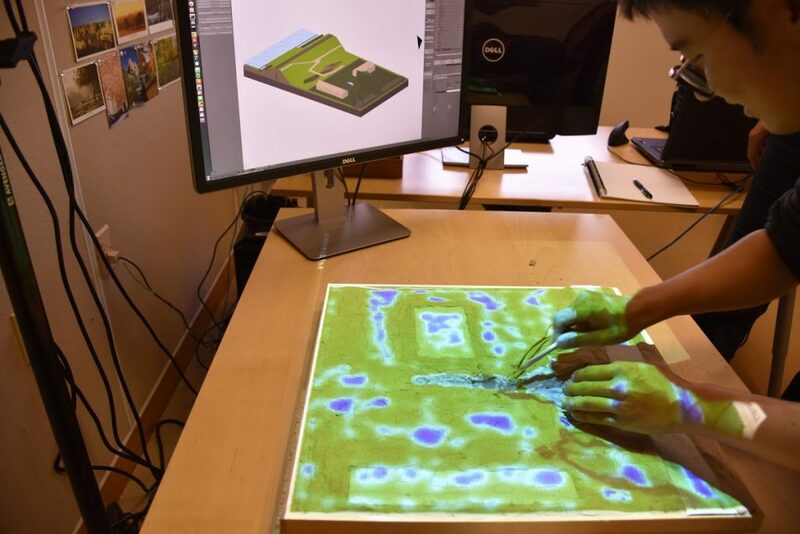 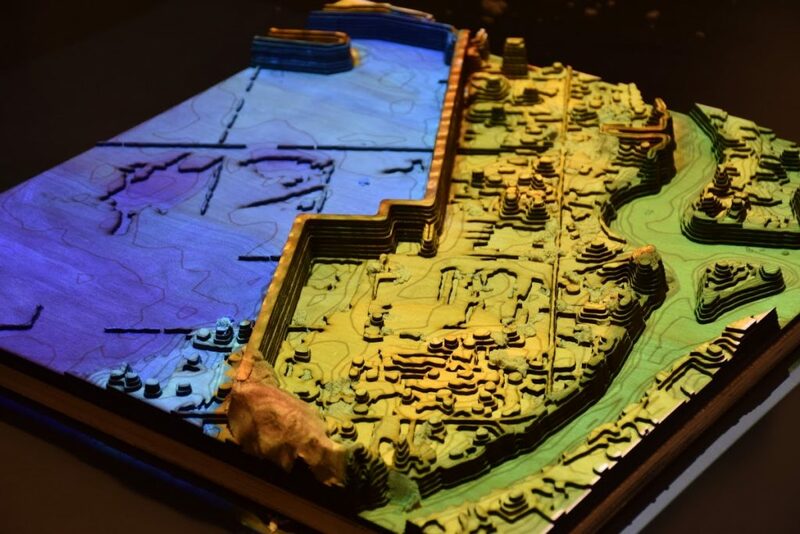 To create these games students used Tangible Landscape – a tangible interface for geospatial modeling – to simulate, model, and visualize alternative future scenarios. 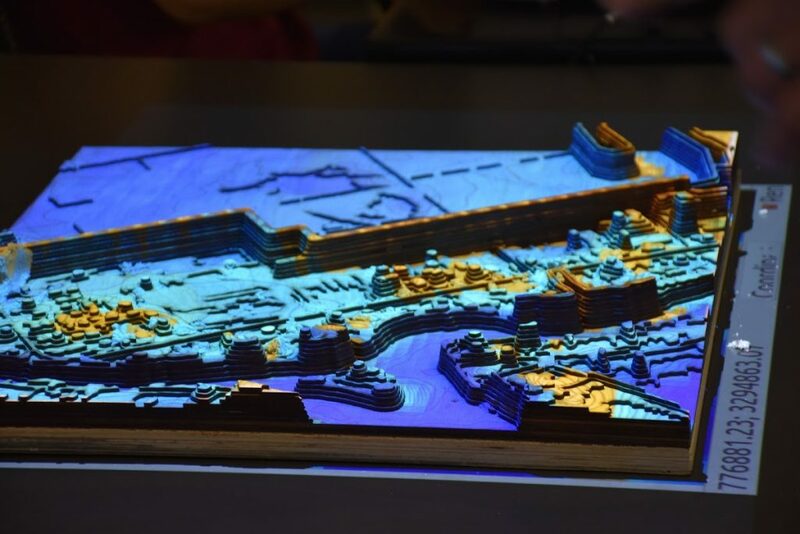 The games addressed the impact of coastal change – of storm surge, flooding, erosion, and land-loss – on Jean Lafitte. 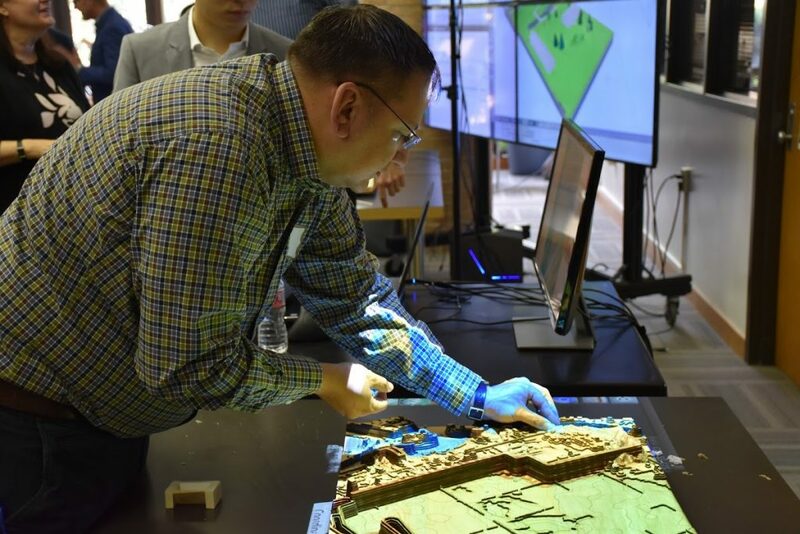 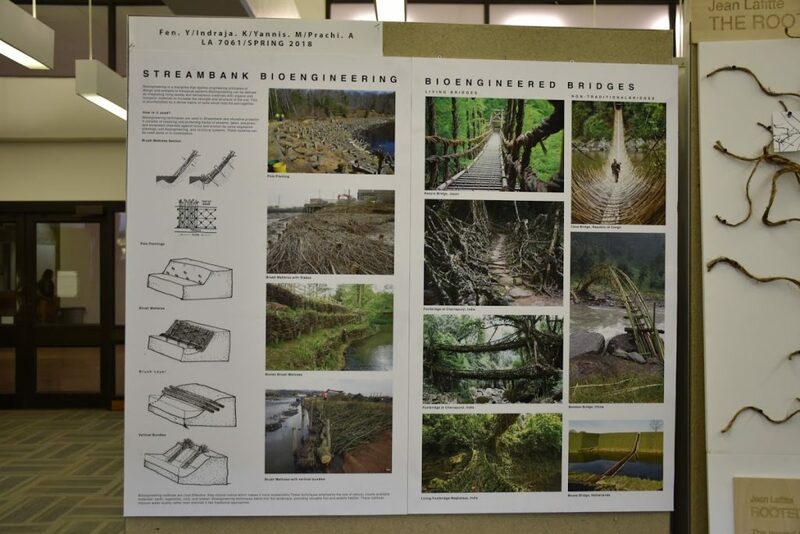 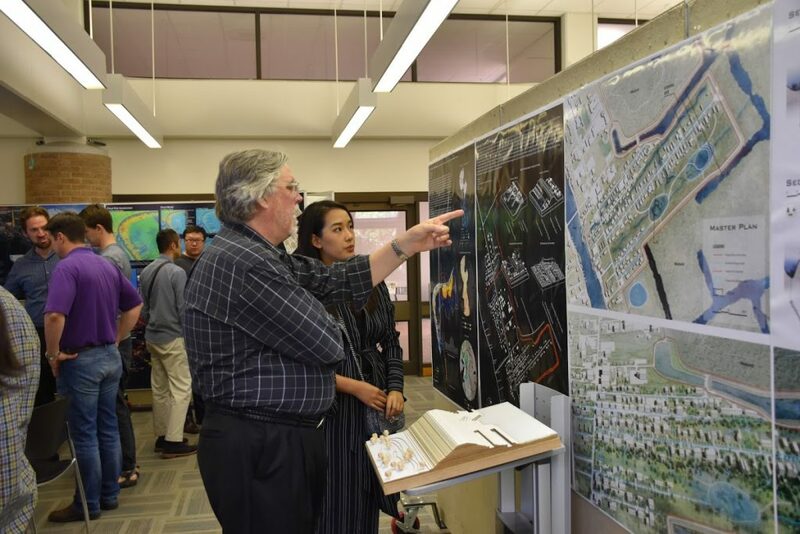 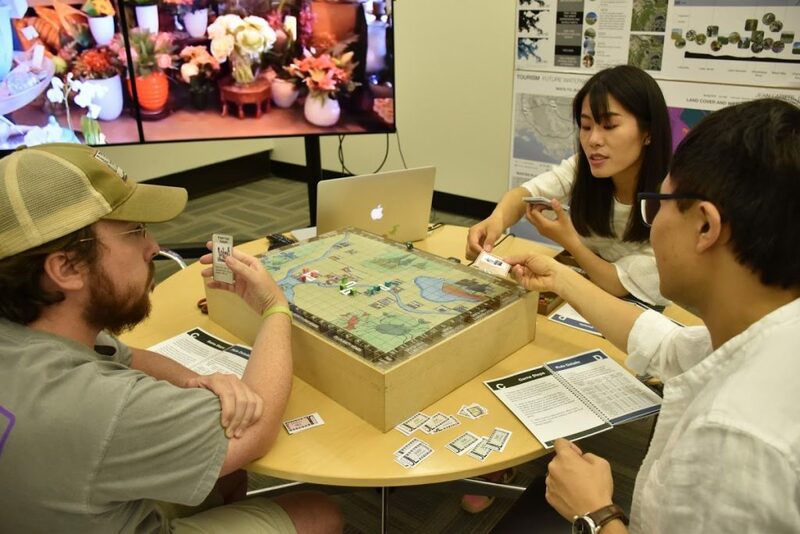 The games explored how methods for defense or adaptation such as levee construction, evacuation, elevated buildings, floating buildings, and bioretention wetlands perform in simulated storms. 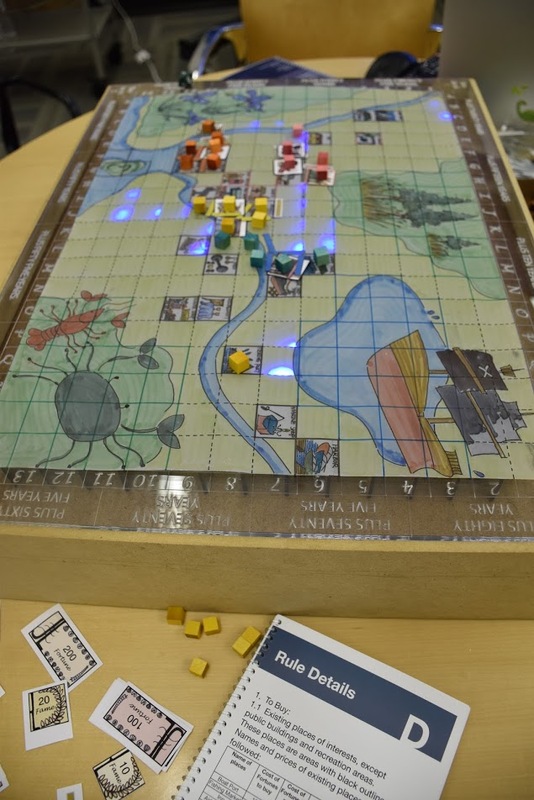 Students chose to focus their games on topics included levee building and flooding, tourism development and sea level rise, stormwater management, and wetland parks in Jean Lafitte. 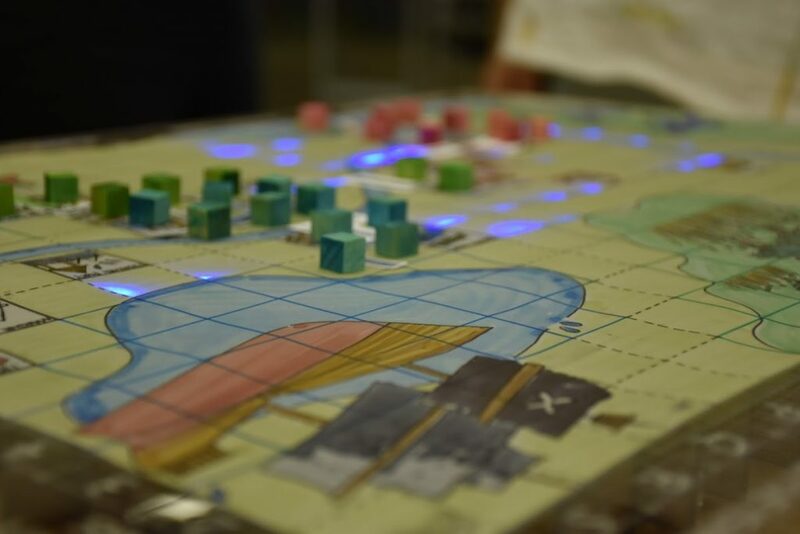 The Louisiana location was chosen to focus the geographic area addressed in the games, but the issues are widespread concerns regarding the repercussions of coastal change. 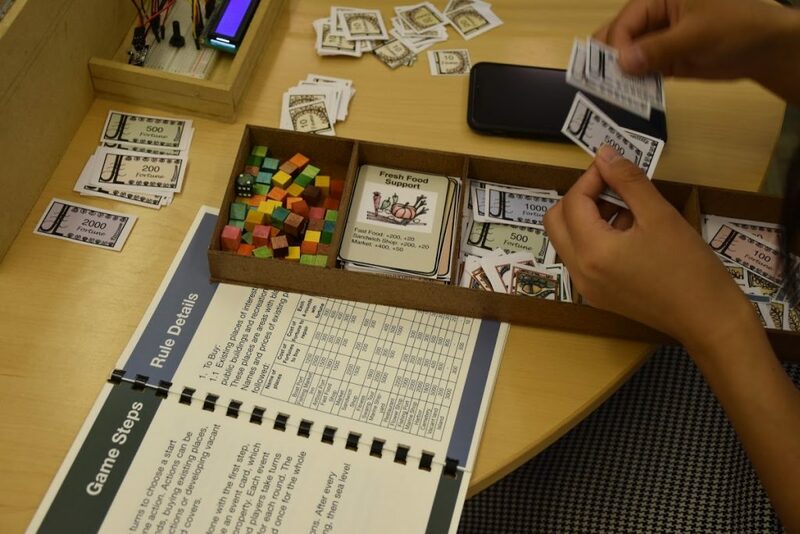 The class worked in groups to create a variety of engaging and interesting scenarios with real-world applications. 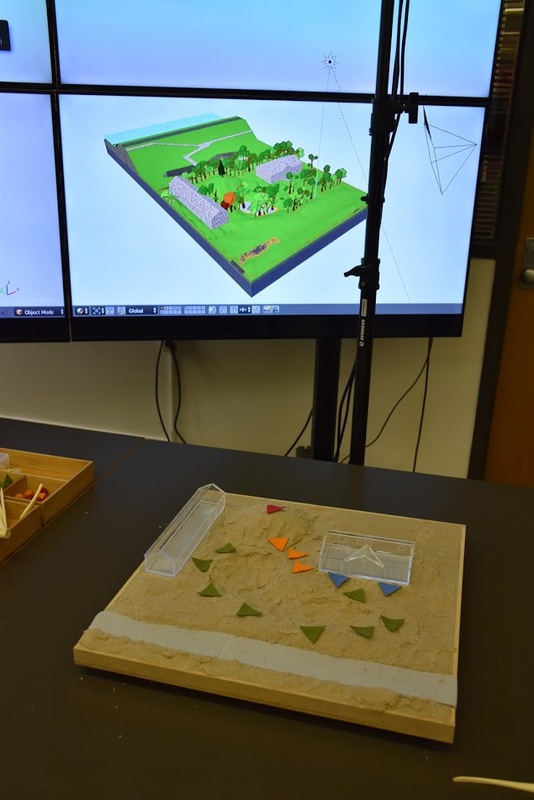 In a game designed to illustrate stormwater management, for example, players sculpted a sand model to create swales and planted trees using triangular patches of felt. 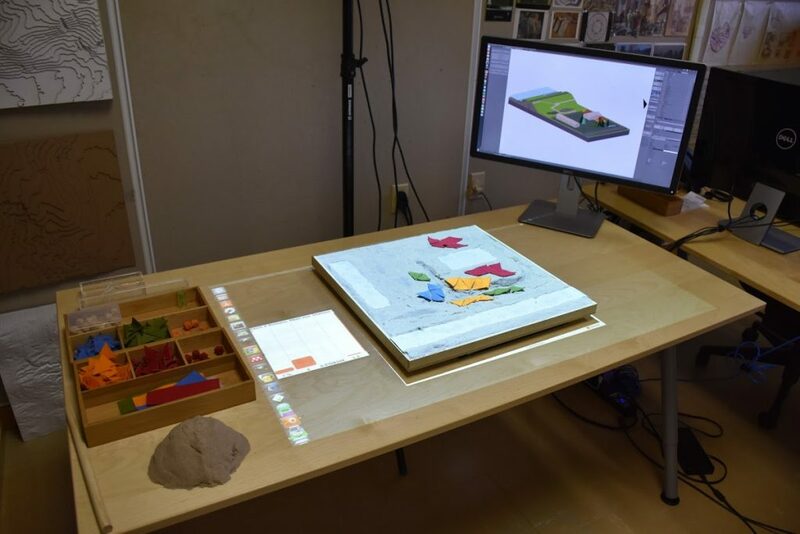 Their designs were digitized using Tangible Landscape. 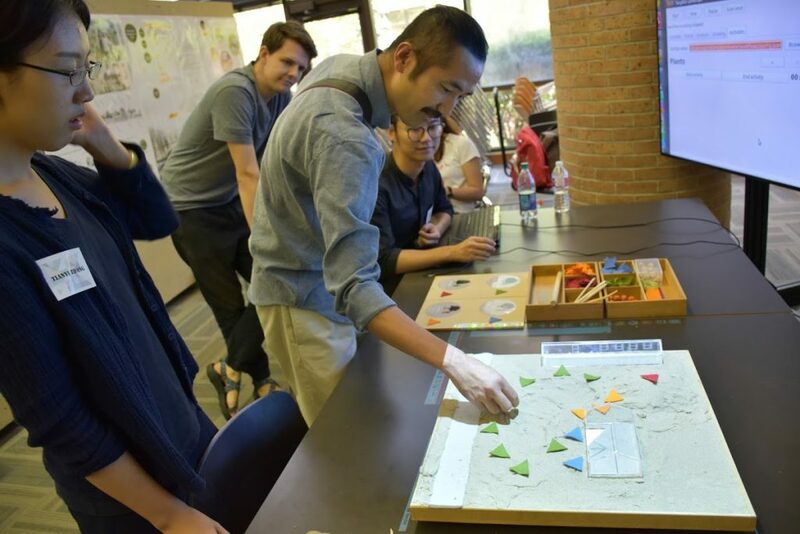 Tangible Landscape, which Harmon co-designed, has numerous applications in addition to serious gaming, including landscape architecture planning, earth science research, and other educational methods. 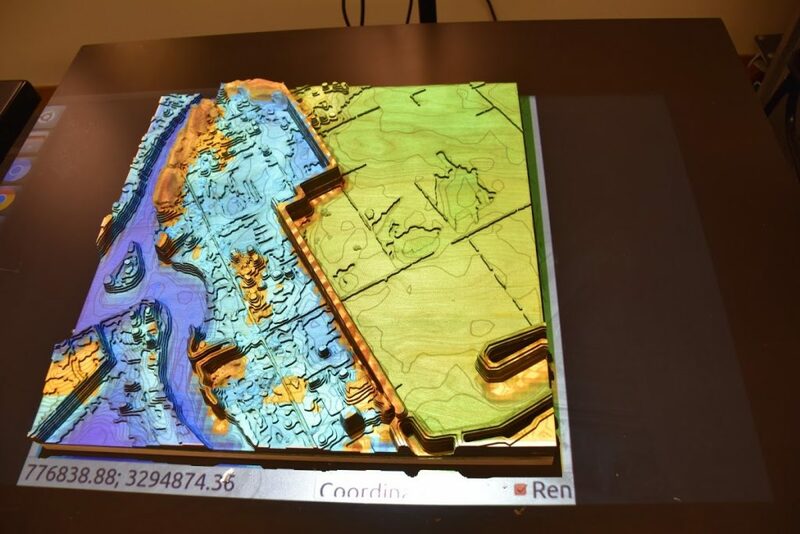 Geospatial modeling applications include analysis of hazard risk management, hydrology, solar energy, coastal and fluvial flooding, fire spread, landscape and park design. 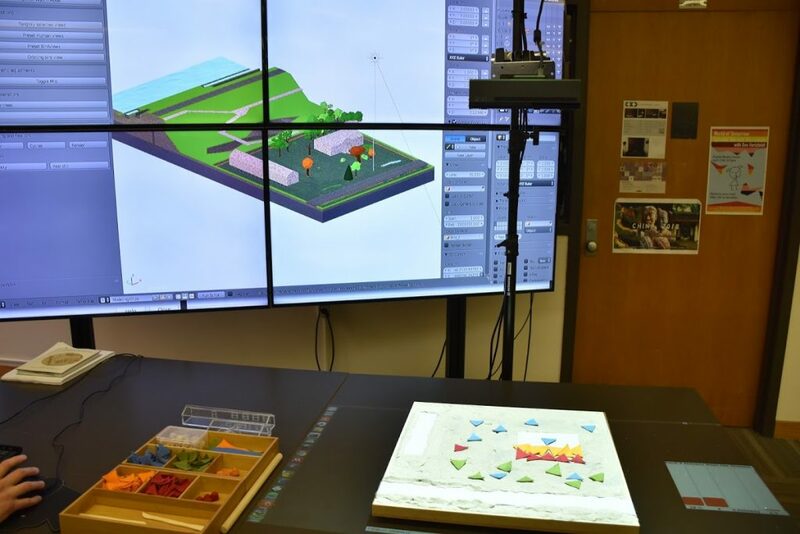 Harmon recently co-authored the book Tangible Modeling with Open Source GIS.